Nozawa Onsen in Nagano, one of the hot spring towns incorporating a ski resort, is easily accessible from Tokyo by bullet train in one hour and 45 minutes. This article introduces the best inns and the highlights of this hot spring and ski resort! Written by LIFE STYLE, Inc.
Did you know that nearly 70% of Japan's land is mountainous terrain? Due to this, you can enjoy skiing and snowboarding in the snowy mountains all over the country. From among the numerous snow resorts in Japan, we especially recommend Nagano's Nozawa Onsen Ski Resort. What is special about this ski resort located in the Shimotakai district of Nagano Prefecture is that you can enjoy here both skiing and hot springs! Using Google Street View, you can enjoy a view of the scenery, as well as the ski slope, to whet your appetite for a trip to this amazing winter retreat. The Nozawa Onsen Ski Resort is a ski ground located in Nagano prefecture's Nozawa Onsen Village (Shimotakai district). The resort is famous for incorporating the hot springs of Nozawa Onsen and a large ski ground. Boasting nearly 40 ski slopes, Nozawa Onsen Ski Resort features various courses and events that appeal to very wide age group, from children to adults. Moreover, due to the fact that the village of Nozawa Onsen has become one entity with the resort, it is very easy to reach the ski ground from the village. During the ski season, a shuttle bus takes guests from inside the village to the ski grounds free of charge. This is a highly welcome feature for those visitors who are unable to drive their own cars to the village. With that in mind, let's take a look at the ski grounds. The Hikage Ski Slope (Hikage gerende) is the main ski slope of Nozawa Ski Resort. As this slope is easy to access from the village, this ground is always bustling with plenty of visitors. The Hikage area features all kinds of facilities including: a 600 meter skid slope, a ski school, ski center, day-care center, and kids park, making this area especially popular among families with children. Drag your cursor over the screen map, and the try clicking. The scenery changes and it looks as though you were gliding down the slopes. Right in front you can see the ski lift. If you move the screen to the left, you can view the "Kumataka" course, a slope going down through the woods. The higher you climb, the difficulty of the ski courses increases. At the height of 1000 meters there is the steepest slope in the Nozawa Onsen Ski Resort. 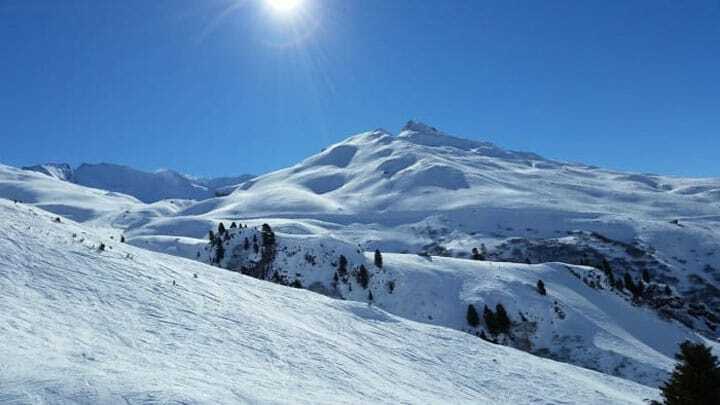 With a 39 degree inclination, it is recommended to those confident in their skiing skills, who should definitely take the challenge of this course. Next PageNext page - what to do after the hot springs?